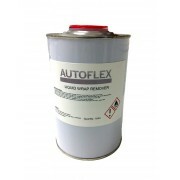 Auto Flex SprayShield Most in the industry understand that the clear protective bra/film market has been primed for an evolution for years. Spray shield is a crystal clear, durable and safe method of protecting auto paint from scratches, nicks, chips and road debris. 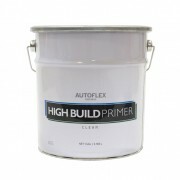 One of our most p..
AutoFlex High Build Primer​ AutoFlex high build primer was formulated specifically to help create a smooth and flawless foundation for the rest of the installation. Apply hbp first before applying spray wrap pro. The primer has an excellent resistance to fish-eyeing over imperfections..
AutoFlex Liquid Spray Wrap Remover * Application Instructions - Using a brush, carefully apply the Liquid Wrap Remover over the Liquid Wrap Pro or High Build Primer. - Immediately remove any excess Remover that may have overlapped onto OEM paint with a rag directly after application. 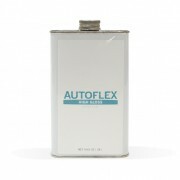 - Leave f..
AutoFlex Quickset Quickset is an extremely useful tool when using autoflex topcoats. 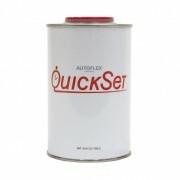 Compatible with both gloss and matte autoflex, quickset drastically reduces the dry and cure times of the topcoats. This makes the turnaround time for completing autoflex installations dramatically mo..
AutoFlex Drop in Tint - Black Autoflex™ color Drop-In tints allow for options and variations in our professional substrate, spray wrap pro™. Bold and beautiful tints will allow for unique base and color coats. 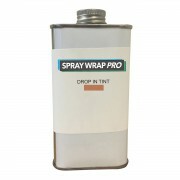 Each 100g drop in will treat a single gallon of Spray Wrap Pro™. ..
AutoFlex Drop in Tint - Brown Autoflex™ color Drop-In tints allow for options and variations in our professional substrate, spray wrap pro™. Bold and beautiful tints will allow for unique base and color coats. Each 100g drop in will treat a single gallon of Spray Wrap Pro™. ..
AutoFlex Drop in Tint - Green Autoflex™ color Drop-In tints allow for options and variations in our professional substrate, spray wrap pro™. Bold and beautiful tints will allow for unique base and color coats. Each 100g drop in will treat a single gallon of Spray Wrap Pro™. 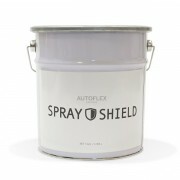 ..
AutoFlex Drop in Tint - Light Grey Autoflex™ color Drop-In tints allow for options and variations in our professional substrate, spray wrap pro™. Bold and beautiful tints will allow for unique base and color coats. Each 100g drop in will treat a single gallon of Spray Wrap Pro™. ..
AutoFlex Drop in Tint - Orange Autoflex™ color Drop-In tints allow for options and variations in our professional substrate, spray wrap pro™. Bold and beautiful tints will allow for unique base and color coats. Each 100g drop in will treat a single gallon of Spray Wrap Pro™. ..
AutoFlex Drop in Tint - Red Autoflex™ color Drop-In tints allow for options and variations in our professional substrate, spray wrap pro™. Bold and beautiful tints will allow for unique base and color coats. Each 100g drop in will treat a single gallon of Spray Wrap Pro™. ..
AutoFlex Drop in Tint - White Autoflex™ color Drop-In tints allow for options and variations in our professional substrate, spray wrap pro™. Bold and beautiful tints will allow for unique base and color coats. Each 100g drop in will treat a single gallon of Spray Wrap Pro™. ..
AutoFlex Drop in Tint - Yellow Autoflex™ color Drop-In tints allow for options and variations in our professional substrate, spray wrap pro™. Bold and beautiful tints will allow for unique base and color coats. Each 100g drop in will treat a single gallon of Spray Wrap Pro™. ..